I’m about ready to go on my second of three trips within four weeks. Unfortunately, this trip and the next involve air travel, my least favorite form of getting from one place to another. As I get older, traveling gets a bit more challenging. I don’t have the stamina to drive all day and still be fresh. My back starts to complain from all the sitting. Staying in hotels and eating in restaurants lose much of the mystique they had when I was young. And with return trips, like these three will be, most of the sights and people have been seen, so there’s little sense of adventure and discovery–other than a few new golf courses I’ll play this weekend. And maybe Dad will find a few new Arizona wineries for us to visit next month. But traveling is still a vital component of a Neo-Renaissance life. One need not define traveling in terms of world cruises, month-long treks around this foreign country or that, or that week-long vacation to a tropical island. Travel can be as short and simple as taking a day trip to a nearby big city or camping in the local state park for a weekend. To me, anytime I leave my house and my town for half a day or more qualifies as traveling. I get a chance to meet new people, even if it’s only a shop owner or a server at a local restaurant. Maybe I’ll hear a local musician perform, or I’ll take in the historic sites in a small town, or I’ll visit a local park that has something my local park does not. Traveling is a way to stretch one’s brain, enhance one’s memories, or cause one to think about a new idea, consider a different viewpoint, or have one’s mindset challenged. I look forward to many new experiences in my next two trips, along with revisiting family, friends, and old stomping grounds. Whatever happens, I’ll come back changed in some way, and hopefully for the better–wiser, more compassionate, better informed about the world, or more appreciative of everything the world has to offer an observant traveler. And maybe, just maybe, I’ll come home with some great ideas for stories or characters, or settings. A good writer absorbs everything he experiences in the world. My question: Where have you traveled within a half-day’s drive of your home that impressed you for better or worse? 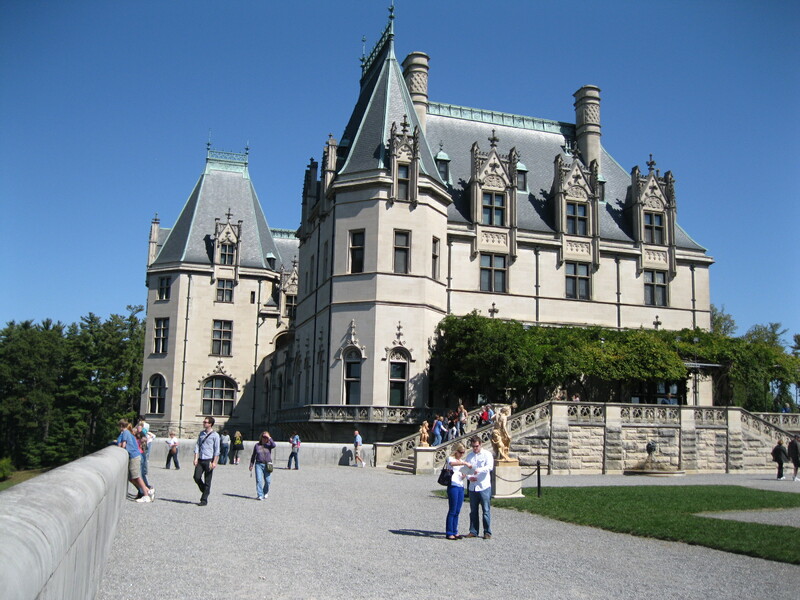 This entry was posted in General Interest and tagged Asheville NC, Biltmore Estate, Neo-Renaissance, travel by CNWriter. Bookmark the permalink.